Welcome to Official Website of Aakash Deep Packers and Movers in Ajmer, We are present across India with more than 100 + Own network. We make your Packing and Moving very simple,easy, safe and economic. Ajmer Packers Movers is the superb among packers and movers service providers in India. Packers And Movers Ajmer offers world class packing, unpacking, loading, unloading, car carrier services including warehousing of household possessions and commercial goods in India. 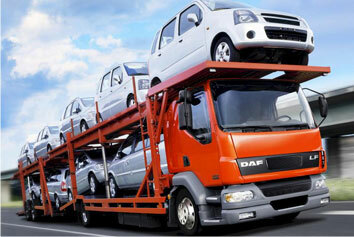 We offer moving services to all cities in India. Our Packers Movers experts are always dedicated to provide worldwide quality packing and moving solutions for each and every type of requirements. Aakash Deep Packers And Movers Ajmer offeres all categories of shifting services like Home Relocation Services Ajmer, Packing and Unpacking Services Ajmer, Corporate Relocation Services Ajmer, Car Carrier Services Ajmer, Loading Unloading Services Ajmer, Custom Clearance Services, Insurance Services and Warehousing Services Ajmer. Ajmer Packers And Movers Gives Best Service in Ajmer, Rajasthan, Aakash Deep Packers and Movers is one of the best Packers And Movers, Movers and Packersprovider company.We having its branches in Jodhpur Packers and Movers, Jaipur Packers and Movers ,Abu Road Packers and Movers ,Pali Packers and Movers,Udaipur,Ajmer, Kishangarh,Beawar and many other cities in India. We are known for providing quality relocation services and customer satisfication every time. Including Packers and Movers services we also offers Car Carrier service, Loading & unloading service, ware house service, and insurance service in ajmer, rajasthan and other states in india. Aakash Deep Packers is your trusty packing and moving services company based in Ajmer Rajasthan. If you are moving your house or office, simply give us a call Just Dial @9352777799 and tell us all the details. Soon the expert packers and movers Ajmer will be on their way to carry out your relocation service.Our packers and movers company covers Ajmer city and all nearby areas so you can always call us for home and office shifting. In addition we can help you with a few other jobs related to home relocation such as packing and moving | packers and movers in Ajmer | local shifting in Ajmer | home and office relocation service in Ajmer | Ajmer Packer and Mover | Packer and Mover in Ajmer |Packers and Movers Ajmer| Aakash Deep Packers and Movers in @Ajmer Rajasthan. Packers And Movers (Aakash Deep) have a lot of featured services which you may find helpful, including packing, moving, loading, unloading and car transportation or you can simply use our packers and movers service to get you and your products from one place to another and every city of india including Jodhpur Packers And Movers,Jaipur Packers And Movers,Abu Road,Pali.Udaipur, Ajmer, Kishangarh,Beawar Bijainagar, Gulabpura, Kekri, etc. Packers and Movers Jodhpur - Movers Packers Jodhpur - Jodhpur Packers And Movers - Relocation services in Jodhpur Aakash Deep Packers and Movers is best for Packers And Movers, and relocation service provider in Jodhpur, jaipur,Pali, Abu Road, Ajmer, udaipur, etc.? Aakash Deep Packers and Movers Ajmer Rajasthan Providing All kind of shifting and relocation services all over India. Our Services areas are – Ajmer, Beawar, Nasirabad, Kishangarh, Bhilwara, Pali, Aburoad. Aakash Deep Packers and Movers is Ajmer Base Local Packers and Movers Company. We Provide Best Packers And Movers Ajmer Get Free Best Quotes, Compare Charges, Save Money And Time, Household Shifting Services. Aakash Deep Packers and Movers is An Associate Member of Shiftingwaley Group (Govt.Regt.) Aakash Deep Packers and Movers Ajmer has established its office at Ajmer with an aim to provide world-class services to the customers of packers and movers Ajmer this city and region. Aakash Deep Packers and Movers is a registered member of Shifting Waley and is An ISO 9001-2000 Certified Origination of Ajmer. We are here to fulfill all the customers' expectations with perfection in packing and moving services in Ajmer. It is a challenge for us. Aakash Deep Packers and Movers Ajmer is a most awarded Packers and Movers in Ajmer, Movers And PAcker Ajmer. Aakash Deep Packers and Movers Ajmer Rajasthan Providing All kind of shifting and relocation services all over India. Our Services areas are Ajmer, Beawar, Nasirabad, Kishangarh, Bhilwara, Pali, Aburoad. I have taken service from adpackers.com from Jodhpur To Jaipur. They gives good all service just like household shift, packing service, moving services etc. Thank you so much Aakash Deep Packers movers jaipur, Jodhpur teem for good shift my house hold goods. I recently shift my home Jaipur to Mumbai through Aakash Deep Packers And Movers. they gives good services. thanks company and there staff.